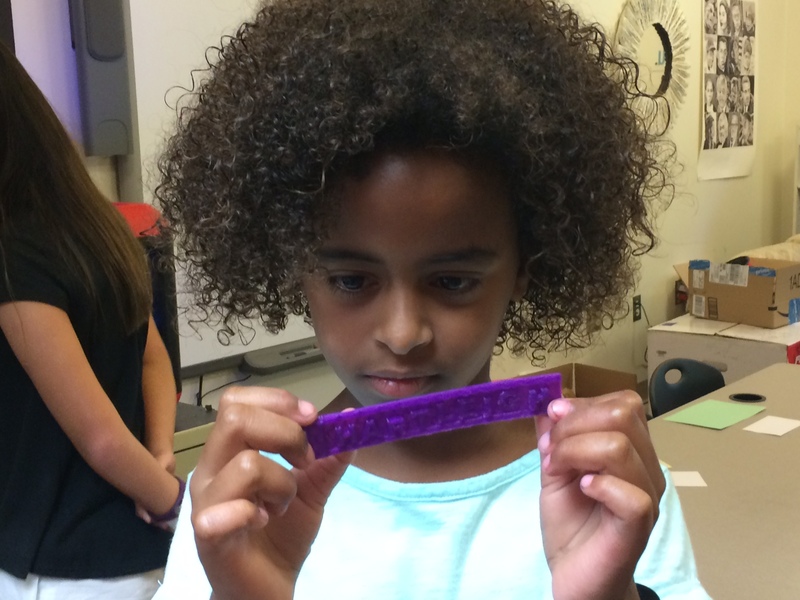 A student examines the name tag she designed and 3D printed in Global Explorers at Princeton Junior School this summer. During the course, she and her classmates also co-designed a solar-powered flashlight with partners in Honduras. Our mission at Level Up Village (LUV) is to prepare students to become compassionate global citizens, while equipping them with the skills they need to navigate an increasingly global economy. With Level Up Village, your students can learn everything from CAD & 3D printing, to coding video games and animations, to science-centered classes in water chemistry and anatomy – all while collaborating with global partner students! 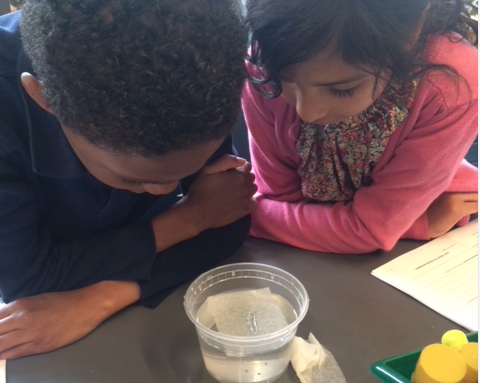 Students at The Pingry School conduct an experiment in Global Scientists. Another group of students used materials such as spaghetti, marshmallows and rubber bands to engineer solutions for storybook characters in Global Storybook Engineers.In each course, students communicated with their global partners by exchanging video messages. In January, Delbarton School launched a new foreign language exchange pilot program that connects Arabic II language students with peers at Pioneers Baccalaureate School in Nablus, West Bank. Ms. Agón said that enriching the students’ learning through the direct contact with Spanish-speaking students held immeasurable value. She hopes that these first steps will help to lay the groundwork for the girls becoming global citizens. 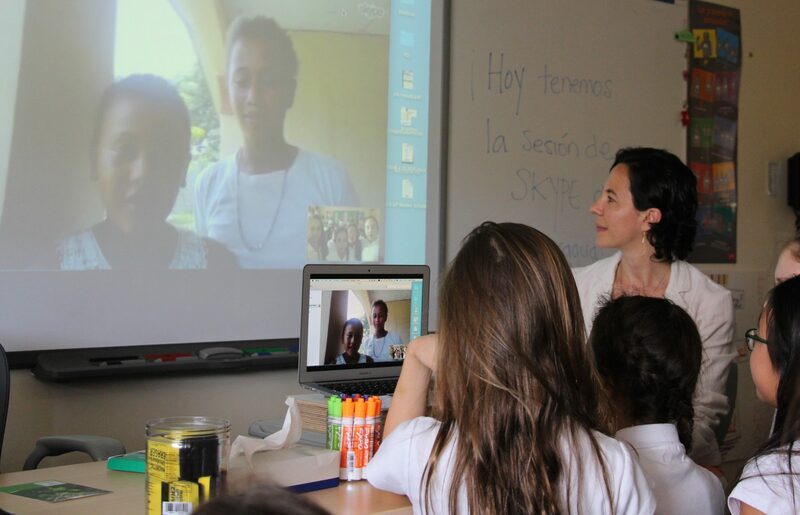 Girls at Chapin held a live Skype with partners in Nicaragua during their cross-curricular Global Scientists course, which combined Spanish language with the study of water chemistry. Level Up Village’s pioneering Global STE(A)M enrichment courses promote design thinking and one-to-one collaboration on real-world problems between K-9 students in the U.S. and partner students in developing countries. 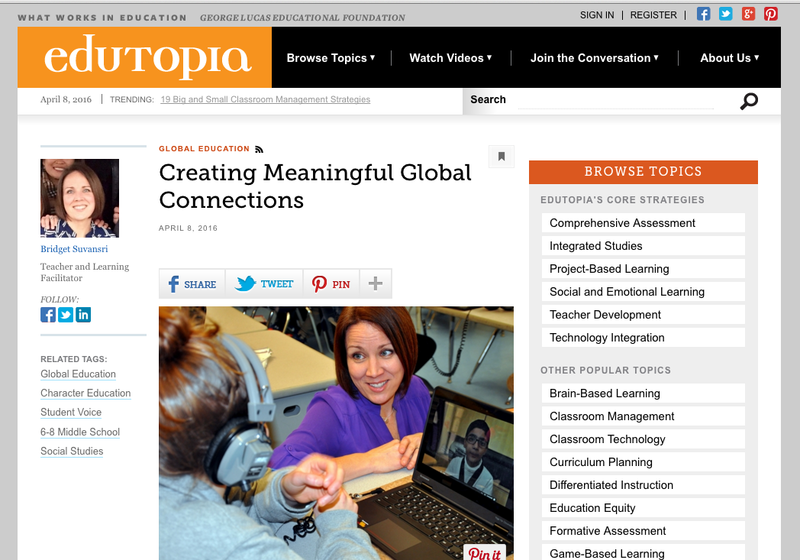 We provide teachers with fully developed curriculum, teacher training, and innovative collaboration & communication tools to create a truly global learning environment. See this short video on what makes our offerings unique and check out our latest course list. We can have a course up and running for your school in just two weeks’ time. Click here for more information or to schedule a phone call.